We're handing the FBOTD baton back to Kevin Hatchard, and he's taking us to Germany. "Koln are chasing a fifth straight home win, while Hamburg are getting a serious case of the promotion jitters." Matias Vecino is a popular name in the Gourlay household at the moment, after his goal deep into stoppage time for Inter against Frosinone gave the Nerazzurri a 3-1 win, and landed Tobias' Asian Handicap bet. TG is very much the Dangermouse to my Penfold at the moment, so it's time I got a move on. 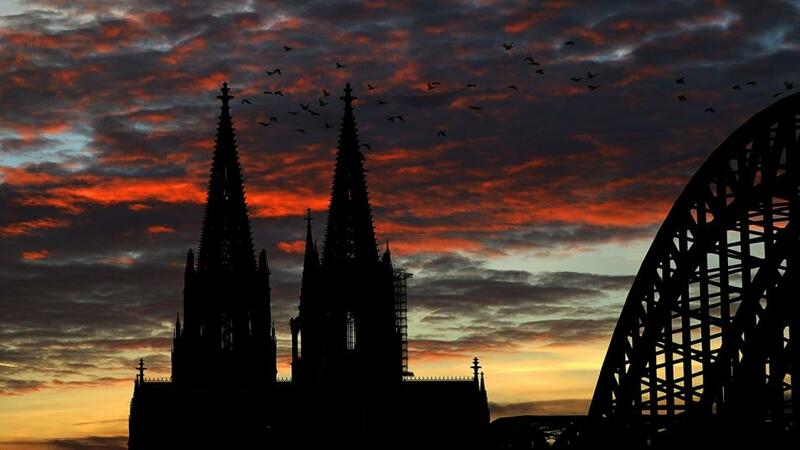 We'll kick off the week in the cathedral city of Cologne (the Dom, as the cathedral is known, really is worth a visit), because FC Koln are closing in on promotion, and are up against their closest challengers Hamburg. Since their shock relegation, league leaders Koln have done well in the transfer market. They retained key players, brought much-loved striker Anthony Modeste back to the club, and signed proven second-tier performers like Rafa Czichos and Dominick Drexler. Both Czichos and Drexler played for Koln coach Markus Anfang at Holstein Kiel. Anfang narrowly missed out on promotion last term, but looks set to break into the big time this season. Hamburg suffered their first ever relegation from the Bundesliga last season, and although they are second in the table, they are wobbling. HSV have won just one of their last four games, and that was in the DFB Cup quarter-finals against Paderborn. A home defeat to lowly Magdeburg last weekend further damaged their hopes of automatic promotion. Koln have won six of their last seven league games, and are chasing a fifth consecutive home victory. Their last four home wins were all by at least a two-goal margin, and I think at a packed Rhein-Energie Stadion, they'll put on a show. I'll back the hosts -1.0 on the Asian Handicap at [2.19].